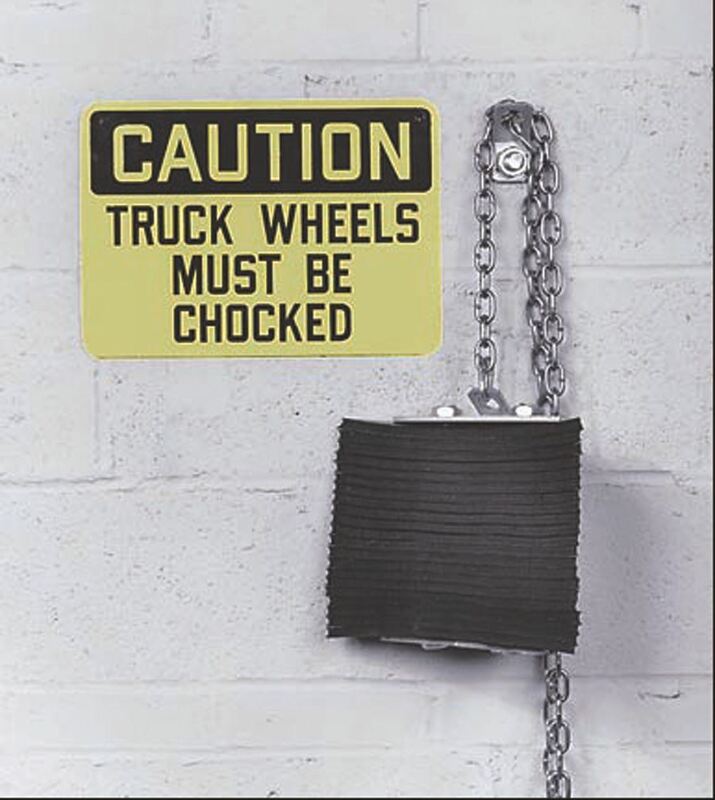 Wheel chock signs, chains and hangers promote safety and ease of use in loading dock areas. 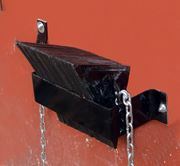 12 guage steel, powder coated black provide durabliity. Hangers drilled to receive 3/8" bolts. Wheel chock secuirty chains attach chocks to the buildings to prevent loss.